In this story the first human being is distressed over the decreasing light and believes it is a punishment. Only when he learns that the light will begin to grow again is he comforted. We too often feel sad or anxious when the light diminishes and are glad when it comes again. Adam's drama of fear and acceptance helps us to accept our own moments of not knowing. After the truth is revealed to him, Adam is able to celebrate before and after the solstice. This Jewish story of the winter solstice teaches us to honor darkness as well as light. We can also wonder: where might Eve be in this story? What would she think of the changing seasons and how would she celebrate them? Read more Jewish Winter Solstice Tales here. There are disagreements as to why the holiday of lights is celebrated when the days are short. There is a great deal of evidence that, in much of the eastern Mediterranean and the Middle East, the winter solstice was a time for imploring the sunlight to return and celebrating its readiness to do so. In Rome, the 25th of December was the birthday of the Unconquerable Sun. In Persia, at the winter solstice the common people set great bonfires and their rulers sent birds aloft bearing torches of dried grass. It is a short leap to surmising that the Syrian Greeks may have chosen the 25th of Kislev as a time to desecrate the Temple by making their own sacrifices there precisely because it was a time of solar and lunar darkness, the time of the winter solstice and the waning of the moon. And it is a short leap to surmise that the Maccabees, when they took the anniversary of that day as the day of rededication, were rededicating not only the Temple but the day itself to Jewish holiness; were capturing a pagan solstice festival that had won wide support among partially Hellenized Jews, in order to make it a day of God’s victory over paganism. 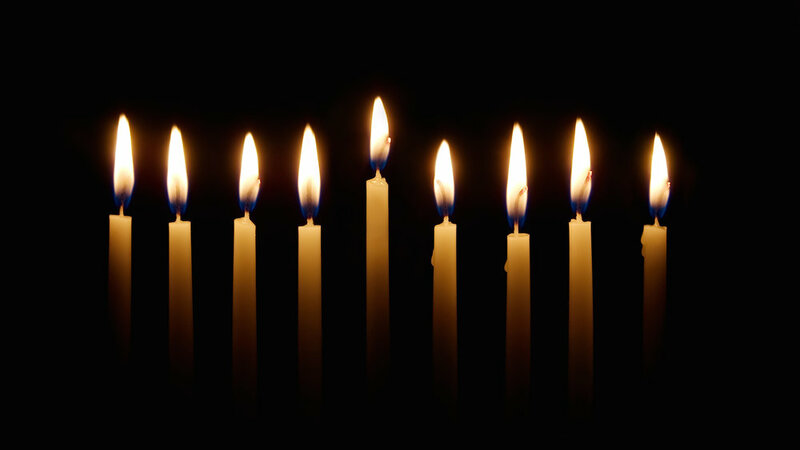 Even the lighting of candles for Hanukkah fits the context of the surrounding torchlight honors for the sun. Some commentators have objected that Hanukkah cannot be a solstice festival because it is tied to the lunar, not the solar, cycle. But this objection ignores the fact that the festivals that are most clearly solar — Sukkot and Passover, the festivals of fall and spring — are nevertheless tied to the full moon for their dates. The objection also ignores the fact that Judaism insists on keeping the sun and moon cycles in tension with each other in its entire calendar— never adopting either a purely lunar or a purely solar calendar, but insisting that each be corrected by the other. Moreover, if Hanukkah is not merely a solstice but a darkness festival, then the 25th of Kislev is the perfect time. In some years, the solstice day itself would be a night of bright full moon–especially powerful in an agrarian-pastoral culture with few artificial lights. So even the solstice itself would feel less like the darkest day of the year on such a moonlit night. By setting Hanukkah on the 25th of the month, the Jews made sure that the night would be dark. By setting it in Kislev, they made sure the day would be very short and the sun very dim. It may even be that the Maccabees’ desire to celebrate a late Sukkot, or to celebrate this newly Judaized solstice festival in ways reminiscent of Sukkot, was tied to Sukkot’s earlier career as in part a festival of the sun. As we have seen in our examination of Sukkot, the Mishnah goes out of its way to preserve the memory that “Our forebears turned toward the East, to the Sun. . .” and the torches of Sukkot, juggled by the Levites as they danced through Jerusalem, may have been reminders of the sun. Reprinted with permission from Seasons of Our Joy (Beacon Press).